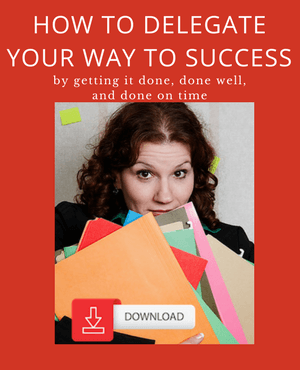 Here are a few time management tips, that I have shared with my (one-to-one leadership coaching) clients, that they have really given the thumbs up to! At the start of each week list your objectives/projects for the week (personal and business). The key is to not to over-schedule yourself. If the time is not realistic look for items you can cut from the schedule and carry over to the next week. You need to ensure you have breathing time. Appointments, meetings, social activities etc. Time to make phone calls, answer emails etc. You'll be far more productive if you block out time to only do emails two or three times a day -- then having it on ping and replying every 5 minutes! Free time each day for 'crisis' - the aim is to get this allocation smaller and smaller. However, you'll never get rid of crises completely. Even high performing people allocate 10-15% of their time for unanticipated events. Then you can place in these blocks 'things to do' on that particular day. For example, if today is the 25th and I have asked John for information on the 28th, I would make a note of this on the diary page of the 28th under the block "Work Information Due from others". At the end of each day review what you have achieved, what is carried over and what is coming up for the next day. This is both an employee management tip and one of those time management tips that few people use and yet it is one of the best ... because it not only saves you time ... it saves others time as well. How often have you had someone come to you three or four times in the space of a day asking questions ... and each interruption probably costs you about 10 or so minutes (allowing for the time it takes you to answer and then to get your head back around what it was you were doing?). These five little words "have you got a minute" are very, very dangerous! It is way more efficient if you train them to store all their questions up and ask you them all at once! And get good at asking questions such as: "What have you done about it so far? ", followed by "What do you think you should do next?" Have you been guilty of bugging someone with multiple interruptions? Stop it! You'll get a reputation as being annoying. A good way to avoid being a serial interrupter (or having someone serial interrupt you) is to keep notes of questions or topics you want to raise with each person you regularly meet/interact with. I like to use Evernote. (I especially like the search function in Evernote, makes it super fast to find people). Keep a note of ideas that occur for a project that you can't action immediately.